To get Adobe Acrobat Reader click on this image It's free ! Nigel is currently working for the Mount Washington Cog Railway in the state of New Hampshire, USA. Here he has taken up a full time development role having left his long term employer the Snowdon Mountain Railway (SMR) in September 2004. He flew to the USA on September 13 2004 to take up this role. It was during a tour of the SMR in the early 1990's that Nigel met Shaun McMahon, then of the Vale of Rheidol Railway. Sharing an interest in advancing steam they became firm friends, each being able to supply the other with knowledge and information relevant to their respective railways. Out of this meeting grew a business partnership 'Day & McMahon Steam Technical Services.' Much of Nigel's earlier work occurred under this banner. When Shaun resigned in 1995, having moved to South Africa to work with Phil Girdlestone, 'Modern Steam Technical Railway Services' came in to being. 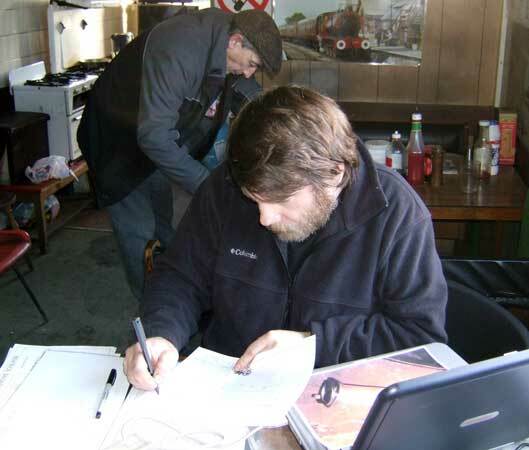 In July 2004 Nigel provided a brief summary of his redraughting work. Click here to read it. Some brief comments by Nigel on the work and theories of Dr Jos Koopmans can be read here. Click below for details of some of the projects and railways Nigel has been involved with over the years.